Regarded as "The Premier" Beach on the entire Coast. Olon has something for everyone. Miles and Miles of tranquil shore line to walk and explore. The beach is Very Long & Wide and offers a nice surf break for those who love to Surf or Boogie Board. You walk out your unit (20 feet) and put your toes in the sand. Just a short walk north up the shore(10 minutes) and you can pick and choose many fine places to dine and have a cocktail. There is a pretty good expat community that meet regularly and several restaurants and water holes where expats meet and enjoy a wide variety of food and beverages. 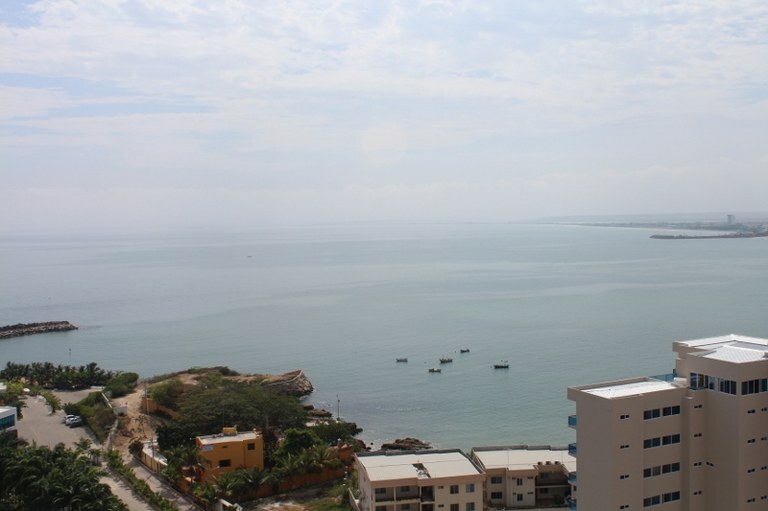 This unit is is ocean front and has two terraces to enjoy the endless views. Better hurry though as the last unit sold in just 5 days. 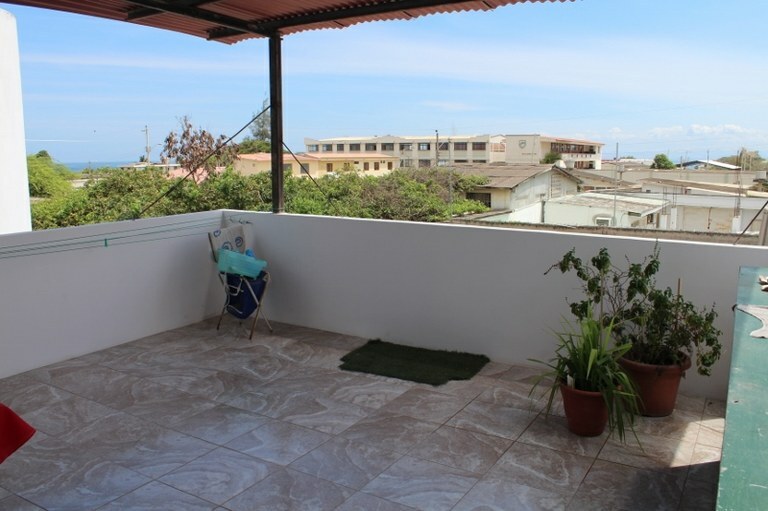 This unit is being sold partially furnished so not much to do to start enjoying paradise. 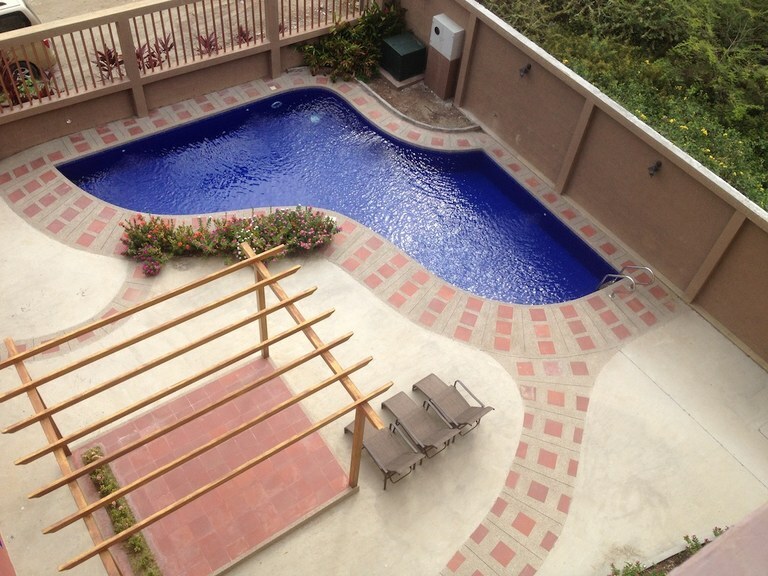 You will love the 65 foot pool and Jacuzzi and lush vegetation. 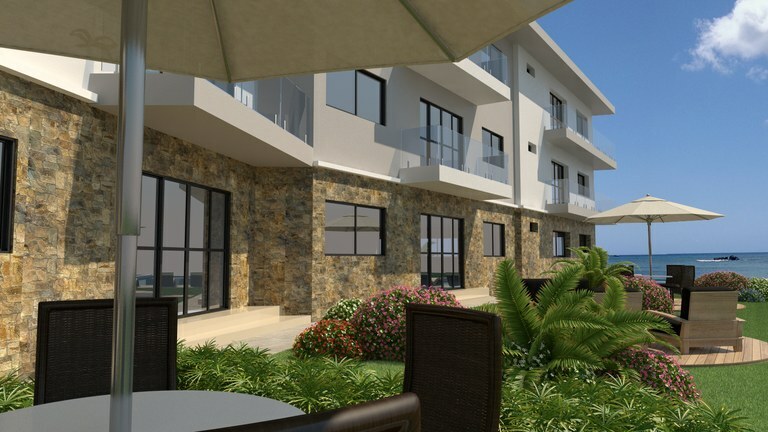 Chipipe: Quality, Luxury, and Space Best Describes These Custom Apartments-Just Two to Share the Top Notch Amenities. Take you choice- Two custom apartments built be the owner developer. That's it!! No need to share with 100 other apartment owners. Enjoy all the custom features of the out side social area with Massive Lap Pool,Two Waterfalls,Jacuzzi complete outdoor kitchen, custom wood tables and built in lounge. Believe me you will not enjoy these luxuries in a high rise and have HOA fees of $40.00. Each apartment has 220 sq. meters(2368 SQ.FT.) Each has 4 bedrooms and 3 baths and very nice finishing touches. Hurry so you can be the first to pick your unit. Just 3 blocks to Chipipe Beach. The beach is very long and wide and much quieter year round then Salinas. Excellent Investment In Chipipe Very Rare Find!! 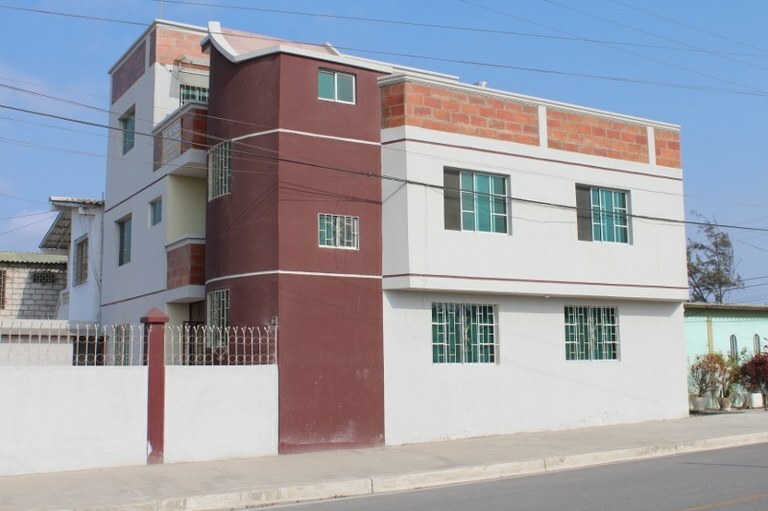 2 Bedroom, 2 Bath Condo in Chipipe. Located Just One Block From The Beach. Ground Level Access Makes the Ease of Living or Renting this Unit. Fantastic location by the church and the park. Less then 5 minutes to the Salinas Malecon and 2 minutes to Chipipe Beach. Enjoy the tranquility of Chipipe Beach and the Restaurants and Malecon of Salinas. Very Low maintenance fees and utilities. Sunset Shores First Floor Unit (Resale): Sunset Shores unit Available!!! We have one last opportunity for someone to own a piece of paradise on the beach in Olon. This is a resale due to unexpected matters. 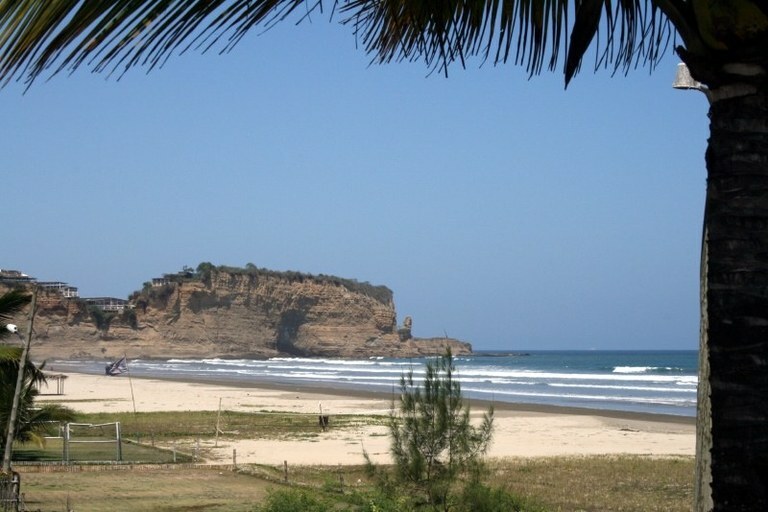 The beach in Olon is regarded as "The Premier" beach of the entire coast. When things come up for sale on this stretch (that reminds me of Malibu, California)...they don't last long. Sunset Shores project has 23 units all of which have been sold. Unit 6 allows someone a chance to enjoy an incredible stretch of beach at a VERY attractive price point. The condo building is directly on the beach with FRONT line access to 8 miles of sandy beach. When people view this stretch of beach from the bluff they ALL say..."Wow". That was my reaction also the first time I happened upon Olon nearly 10 years ago. The unit is 70 square meters or over 750 square feet of living area. It is on the first floor (the building does have an elevator though)...when visiting the neighbors above you. It is two bedroom and one bath with the living area in the open architecture we have become accustom to with the kitchen, dining and living area open to one another. The living area has a beautiful "up beach" unobstructed view. The grounds will have a common area with 65 foot long pool and jacuzzi for your enjoyment. Plus the beach and waves are just 100 yards away...you will love this stretch of beach. It is what I call "User Friendly" especially for the kids and people that like to romp in the waves and not be pummeled by the waves. It is great for boogie boarding, skim boarding, beginning surfers and folks that like to swim in a non threatening surf. If you are buying for investment...you get a double bonus here...Appreciation and very good rental income. 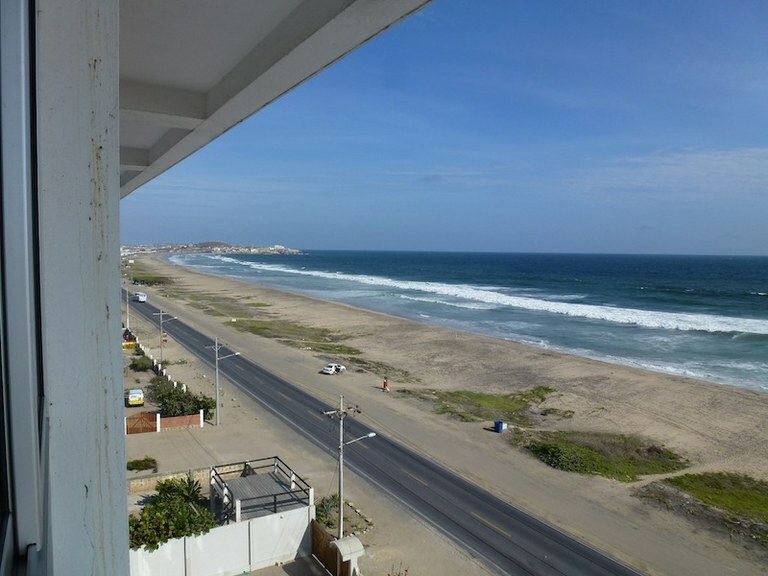 This is one stretch of beach that is visited year round since it is located next door to Montanita...the most visited beach in all of Ecuador year round. Montanita is like combining Key West, Florida, Bourbon Street, New Orleans and a little Las Vegas thrown in. Always something happening in Montanita from great dining to dancing until the wee hours of the night...that's why it is good to live in Olon (super tranquil) and party in Montanita just 5 minutes to the south. Come and see why everyone falls in love with Olon...it might be the perfect place for you. In fact we will be neighbors...we have a unit in this building also. The ocean views from this 14 floor condo are just breathtaking. It is like you in a tropical resort and the best part is this unit includes a membership(value 50K) to Royal Decameron. There are only two all inclusive resorts on the coast of Ecuador and this one over looks the resort. The beach is one of Ecuador finest. There is a great jetty that separates this resort from the long and wide Punta Blanca Beach. Great diving and snorkeling to be found here for sure. 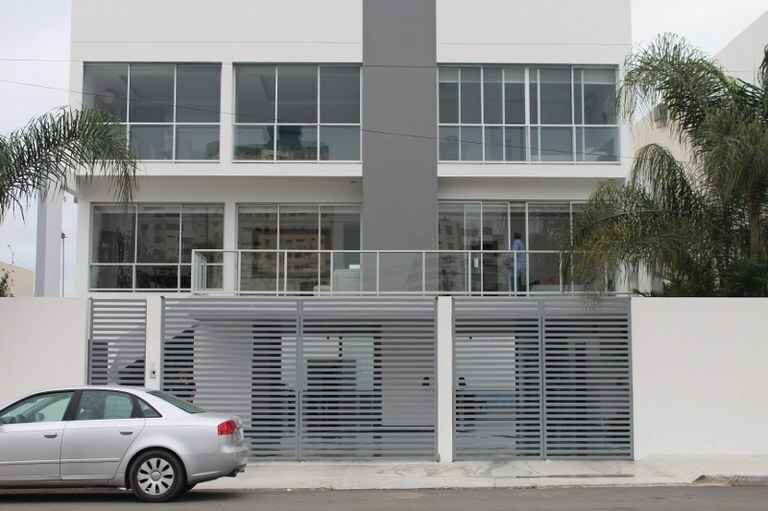 The unit comes fully furnished and can be rented out for income when you not here. There are many return guests to this unit. Great Property & Great Investment. Wait until you see this amazing condo in Ballenita. With some future surprises coming to Ballenita this could be an excellent investment. Remember Location is Everything and this location will be smack dab in the middle of some exciting things to come to Ballenita.Set up as two units. Rent one and live in the other. Playas is THE beach if you want to be in the water in an hour's drive. 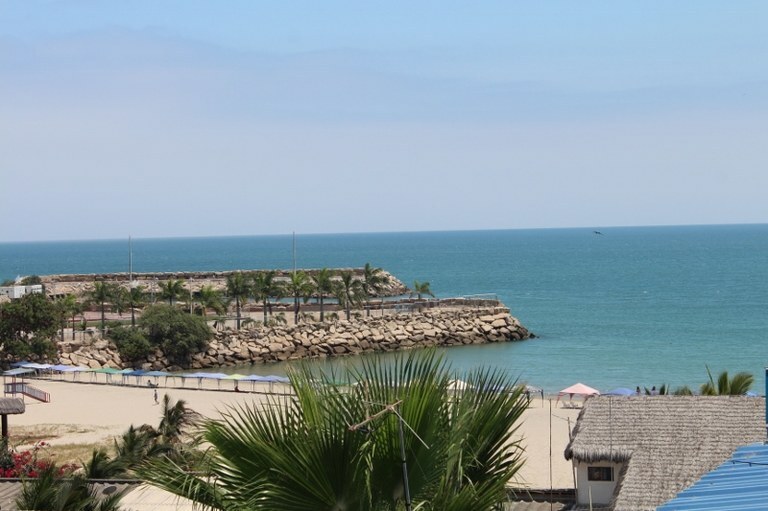 It is also the SUNNIEST beach in all of Ecuador (I live there...and speak from experience...it's like Southern California without the HIGH cost). This great condo is just 200 yards from the sand and offers an incredible beach view. The unit has three bedrooms and 2 baths. You have a living area of 1,000 sq. feet and a wonderful sized deck for your outdoor living area (which you do a lot here thanks to the consistent temps and breeze coming off the Pacific. The condo comes furnished as shown in the photos so it is ready to move in and enjoy and allow you time to add your "touch" to the unit. This is on the 4th floor and comes with a parking spot (covered) and storage bodega (closet) for your beach toys or whatever you wish. This place is very peaceful and just 3 miles from town and the new On Beach shopping mall in Playas. HOA fees are only $100 per month and your Internet service is $28 a month... water AND power about the same amount per month. Living here is extremely affordable. If you don't wish to have a car or scooter for transportation...the bus lines run just out the back door on a 15 minute basis (cost 25 cents to get to town). Playas is fast becoming a haven for expats and we have a great group to socialize with if you wish. The locals are great people also...very personable and love to make friends with us. The building was just completed so you have a well maintained NEW dwelling to call home. We can set an appointment to see the unit with just a short notice when you are ready. 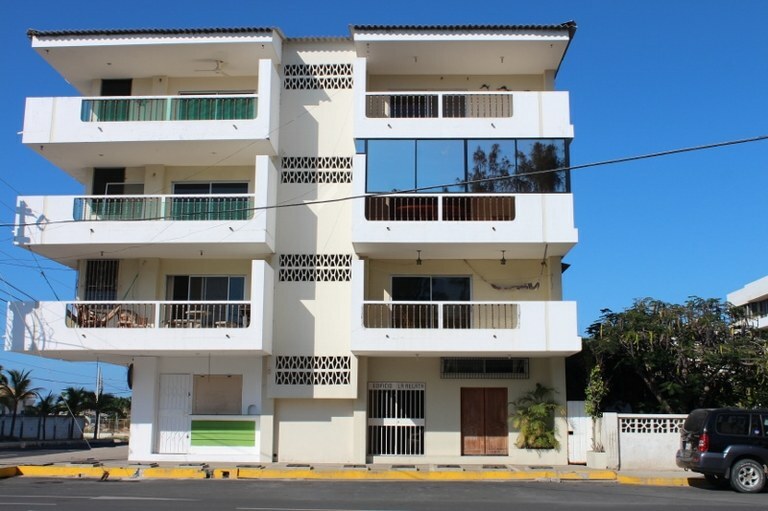 This apartment building is located by Cativo Beach and the Military Facility close to Ballenita. TOTALLY SOLD OUT NO UNITS LEFT We are down to the last few Primo Units at Sunset Shores. We have units 15 and 20 on the second and third floors. The way these units are placed in the building give them both a direct west view (sunsets!!) and an northern up beach view. Wonderful to wake up to such a view! Both units are over 1,525 square feet with three bedrooms and either 2 or 2 1/2 bath depending on how YOU wish to layout them out. These units are large enough to LIVE in comfortably or use for vacatioin/rental properties. 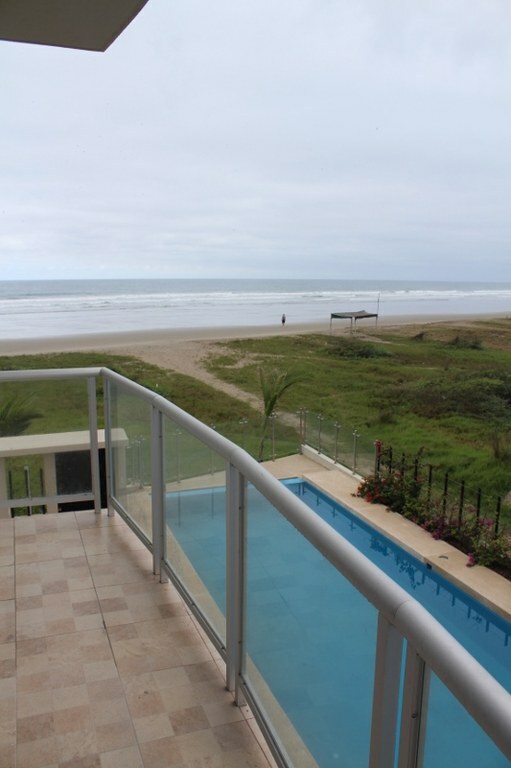 The Olon beach is one of the most sought after stretches of beach in all of Ecuador and it is just 5 minutes over to the "Party Zone" in Montanita...a great place to have fun.